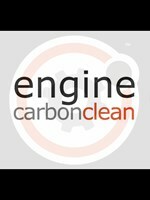 Engine Carbon Clean - South Wales, Gloucester, Worcester, Hereford - Garage/Vehicle Services based in Berry Hill, Gloucestershire. Do you want to revive dwindling MPG? Lower emissions? Restore lost performance and reduce engine noise all from the comfort of your own home? Then you’ve come to the right place! At Engine Carbon Clean we use the latest in hydrogen technology to remove the restrictive carbon build up in your engine, couple this with our live engine diagnostic health check and we can help you save money on fuel and costly repairs! We are fully insured and our CE certified hydrogen units are designed and built in the U.K.